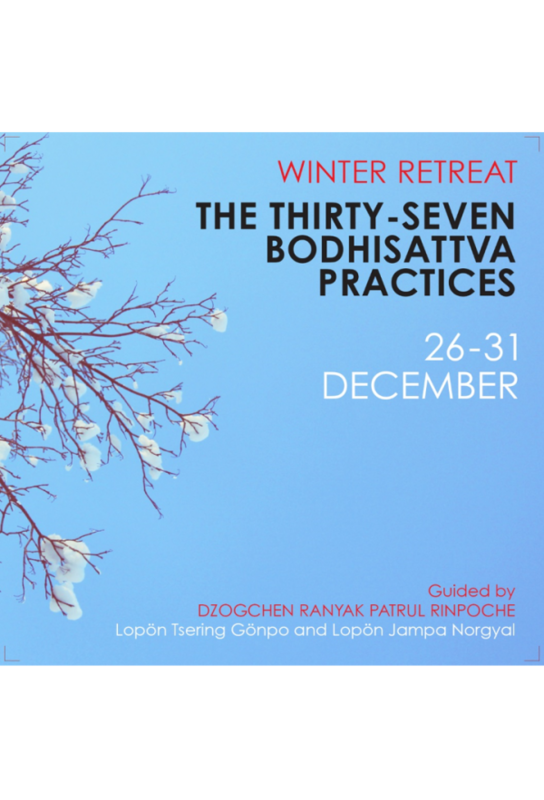 Patrul Rinpoche explains the well-known text from Gyalse Ngulchu Thogme, The Thirty-Seven Practices of a Bodhisattva. 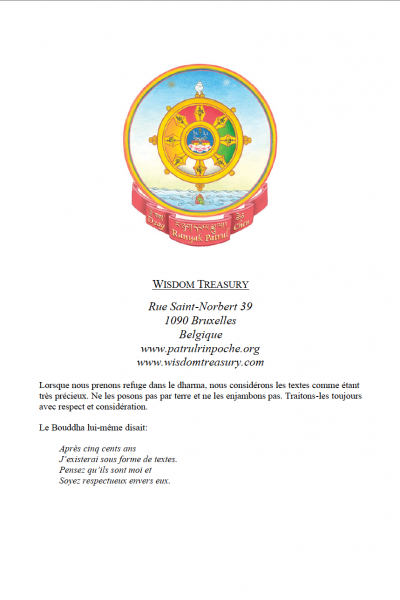 It is a great opportunity to deepen our knowledge of how to bring pith instructions into our daily life, in clear, profound and simple terms. 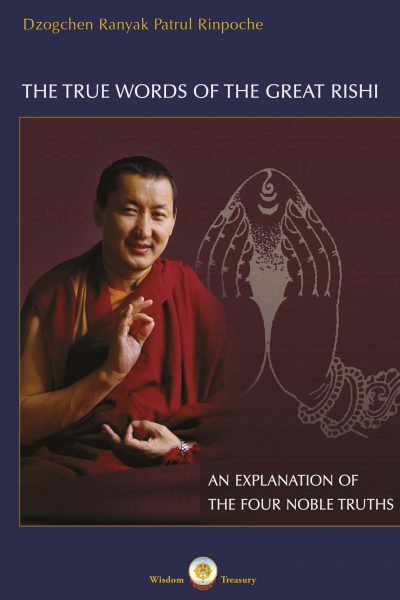 Patrul Rinpoche presents and comments this text in a profound yet very accessible way, thus addressing students already familiarised with the Dharma as well as readers at the beginning of the Buddhist path. 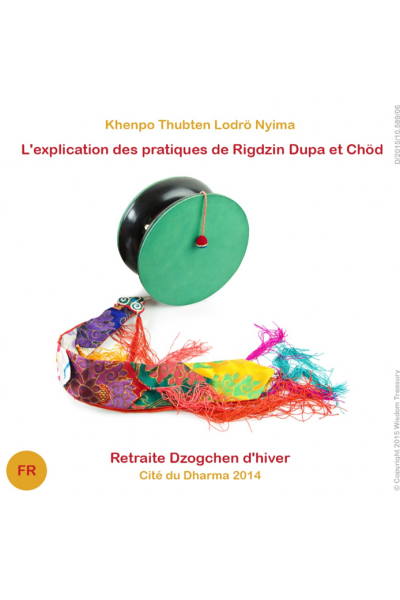 The teaching is given in English and translated into French and Japanese (all translations are simultaneous). 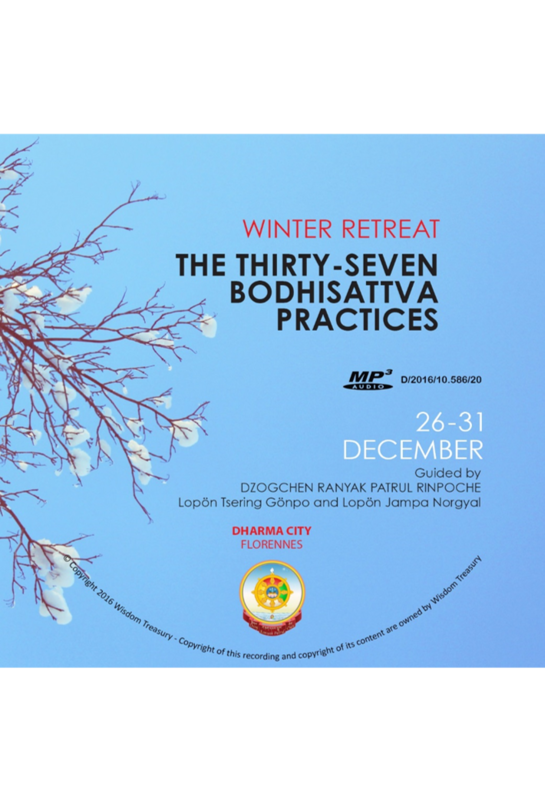 The teaching was recorded during the 2016 Winter Retreat in Dharma City. Category: CDs & DVDs. 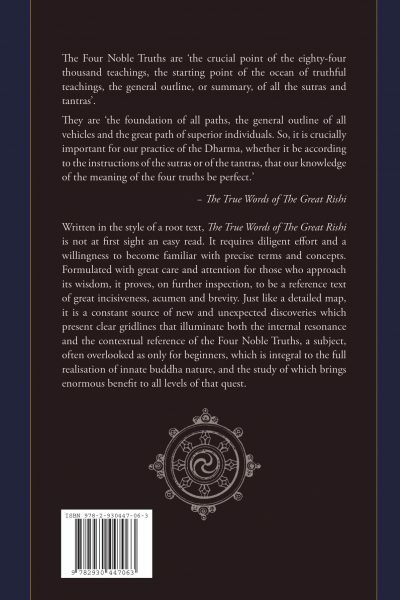 Tags: Commentary, Gyalse Ngulchu Thogme, Patrul Rinpoche, The Thirty-Seven Practices of a Bodhisattva.